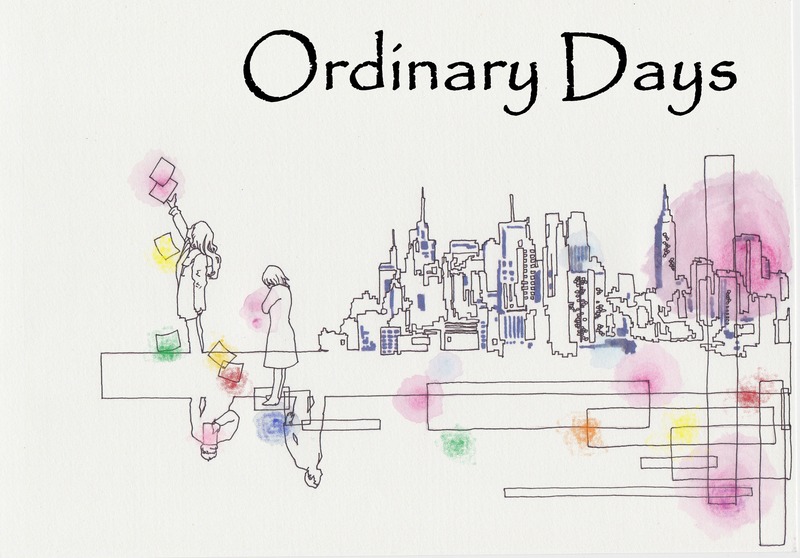 Ordinary Days tells the story of four young New Yorkers whose lives intersect as they search for fulfillment, happiness, love and cabs. Through a score of vibrant and memorable songs, their experiences ring startlingly true to life. 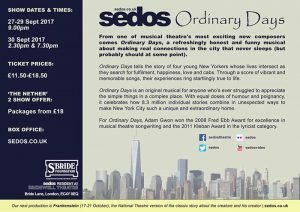 Ordinary Days is an original musical for anyone who’s ever struggled to appreciate the simple things in a complex place. 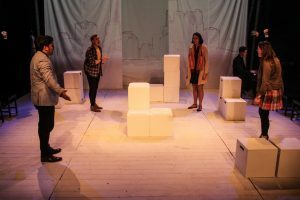 With equal doses of humor and poignancy, it celebrates how 8.3 million individual stories combine in unexpected ways to make New York City such a unique and extraordinary home. 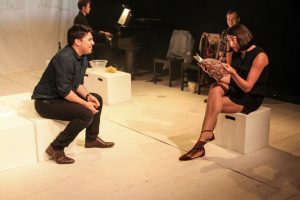 For Ordinary Days, Adam Gwon won the 2008 Fred Ebb Award for excellence in musical theatre songwriting and the 2011 Kleban Award in the Lyricist category. 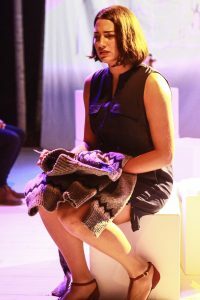 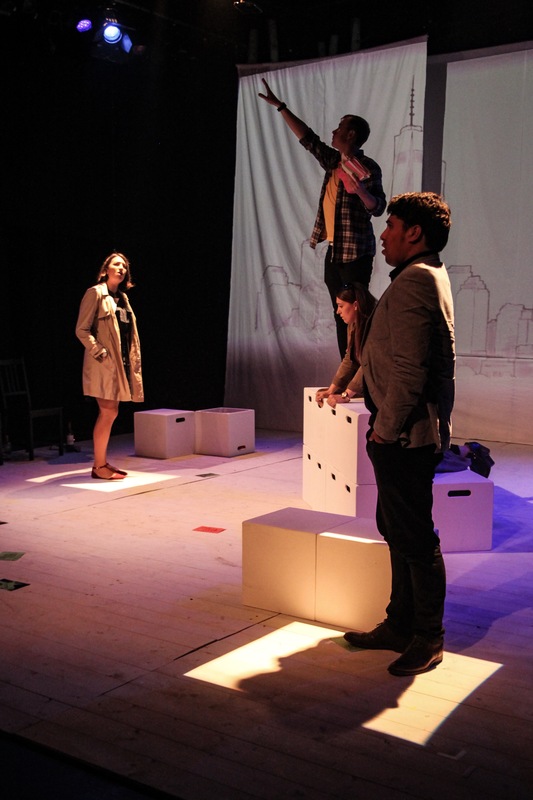 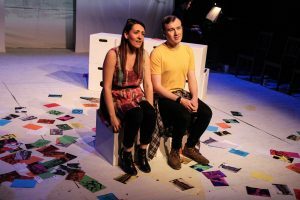 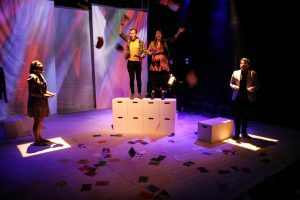 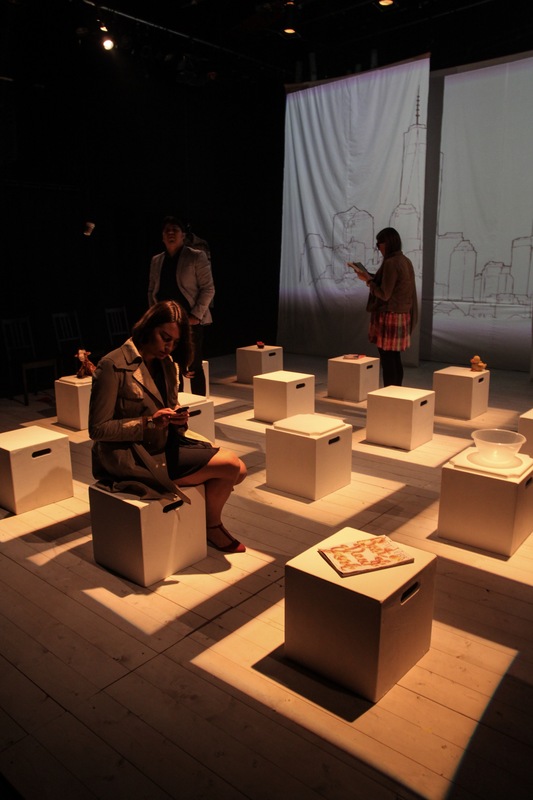 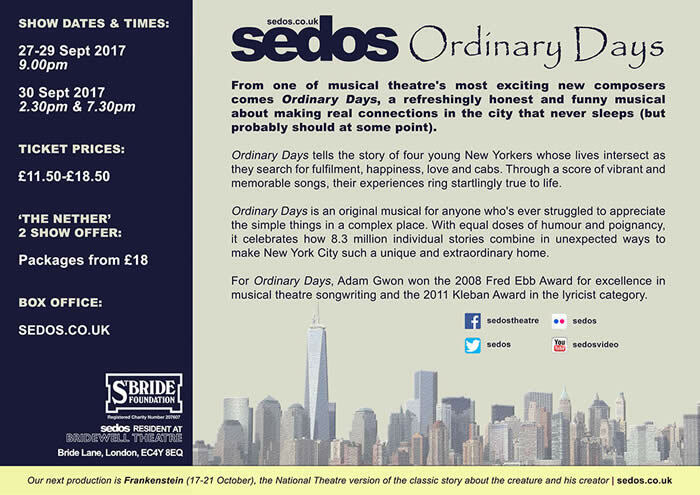 Ordinary Days by Sedos was an absolutely superb production each one of the cast was absolutely stunning and gave the best performance possible, as was the accompanying pianist who played the entire one and a half hours on stage and it was beautifully designed and staged as well. Such a clever production with beautiful music and singing. 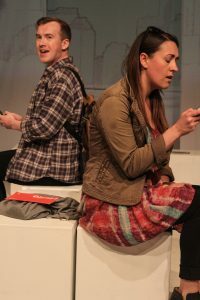 So many deep emotions and so funny as well! 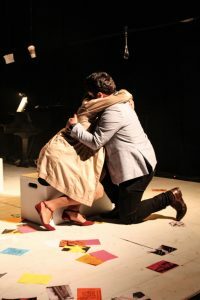 It was sad but heart-warming at the same time. 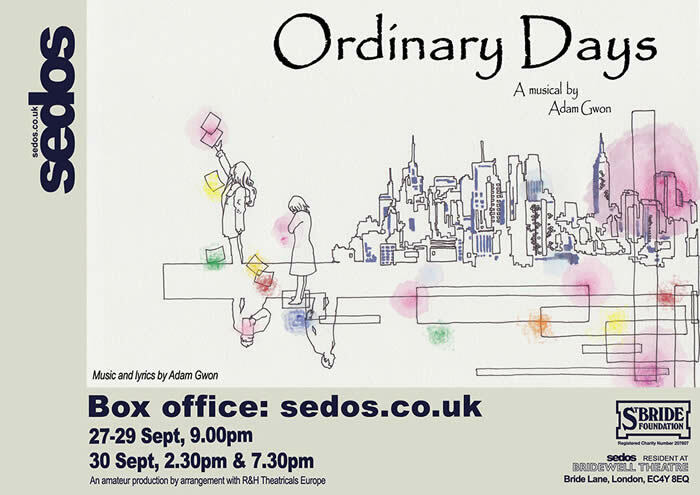 This production of Ordinary Days is an absolute gem; it left me with feelings of astonishment. This show is the perfect example of what fantastic shows can be found Off-West End. 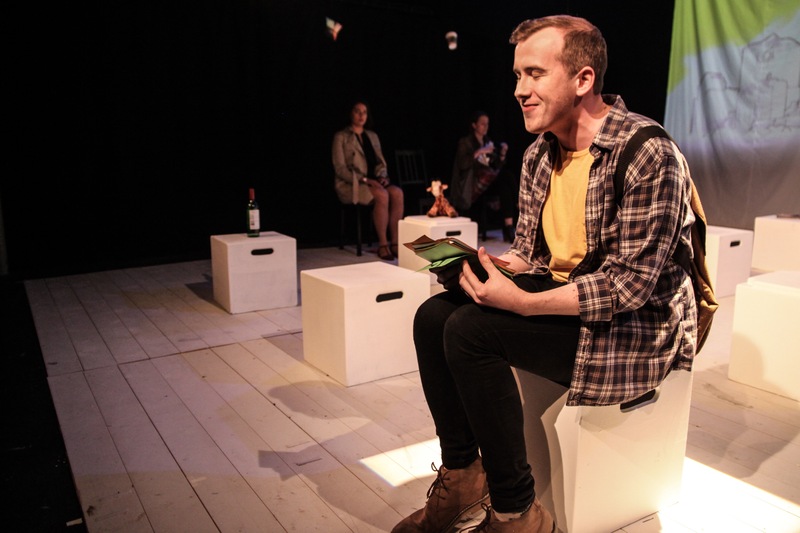 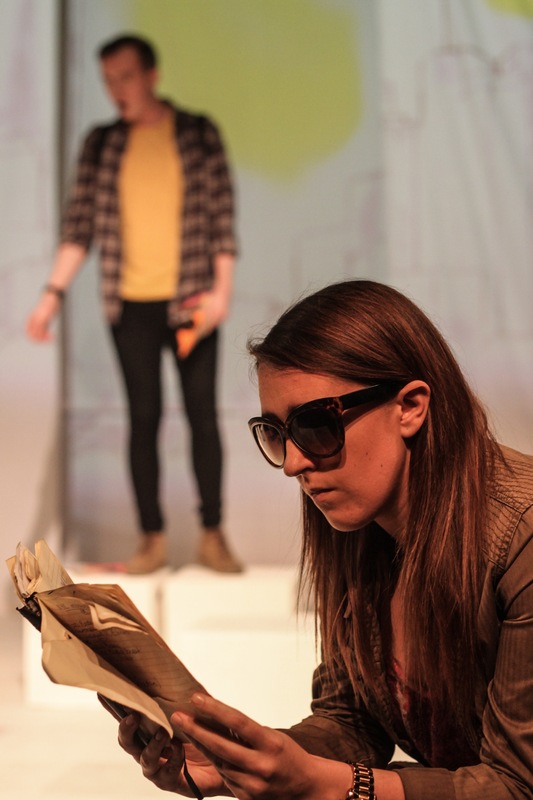 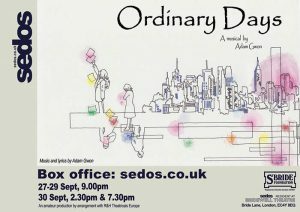 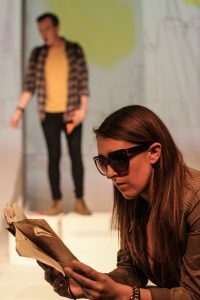 As ever with the Bridewell and the Sedos company, Ordinary Days was a very impressive production. 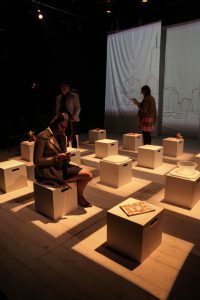 With just an enthusiastic cast of 4, a pianist, and 16 white boxes forming the set and props, a great show emerged. 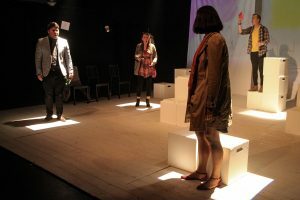 Yojiro Ichikawa used the space and the acting talent at his disposal well delivering a charming show that provided some excellent entertainment.